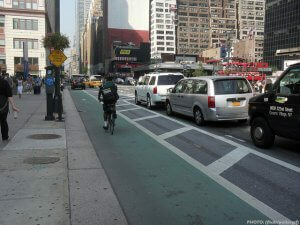 NEW YORK – If you think the traffic is getting worse and your commute is getting dicey, you’re right. America’s roads and highways suffered a deadly year in 2015 and the trend hasn’t slowed down much. A newly released government report shed a sobering reminder of how dangerous driving a vehicle can be. According to the National Highway Traffic Safety Administration, more than 35,000 people were killed in traffic accidents last year. That’s a 7.2 percent spike over 2014. A New York truck accident attorney at Cellino & Barnes said the last time the nation experienced such a large single-year increase was 50 years ago and addressing the problem will take teamwork. A recent change in infrastructure could be behind a major crash that happened in Binghamton last week. The city released dashcam video of a 10-car pileup that happened on Highway 17 near Interstate 81, according to ABC News. The video shows a tractor-trailer plow through afternoon traffic on Highway 17, less than a mile before the highway sharply merges into I-81. The area has been under road construction, which could impact traffic. According to the New York State Department of Transportation, the construction includes lane closures, slow moving traffic and sudden stops. Police said the truck driver was ticketed for faulty brakes and they are considered a contributing factor in the crash. Many victims of truck crashes not only suffer severe injuries, they also face the burden of having to pay for medical bills, lost wages, and time away from work. However, the experienced team of New York truck accident lawyers at Cellino & Barnes has helped many victims get compensation after a truck crash. About 10 percent of all deadly highway crashes involved a large truck, according to the Insurance Institute for Highway Safety. Part of the reason there were more fatalities on the road in 2015 is also due to more truck congestion. Since 2009, companies have been putting more and more large trucks on the roads and as a result, deadly truck crashes have increased by nearly 15 percent over that time period. 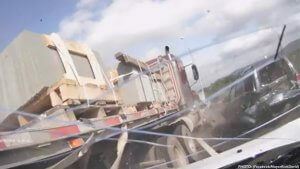 Last year alone, truck crashes spiked by over 4 percent. If you’ve been injured in a large truck crash, the New York truck accident lawyers at Cellino & Barnes will investigate all of the factors, including truck maintenance issues, driver distractions, driver fatigue, road conditions, and problems with infrastructure. Call 800-888-8888 for a free consultation with a truck crash attorney. For more legal information or safety tips, follow Cellino & Barnes on Twitter. BUFFALO, N.Y. – The automotive world is getting amped for robotic drivers. Almost every carmaker has begun testing concept cars that can drive without a human driver actively engaged at the wheel. The technology promises to eliminate human error, the cause of nearly every crash. But to achieve these goals, driverless cars need to improve in many areas. The Buffalo car accident lawyers at Cellino & Barnes recently conducted an analysis of motor vehicle incidents and crashes involving automated or partially automated vehicles. They found that computers continue to struggle in several key areas. Some vehicles, like the Tesla Model S, have already introduced an ‘autopilot’ mode but the computers aren’t perfect. Tesla’s Autopilot failed to identify “the white side of the tractor trailer against a brightly lit sky.” The error resulted in a deadly crash. Lighting conditions have always been hazardous for humans too. Roughly half of all crashes occur at night despite there being significantly less traffic on the roads. Most driverless cars rely on cameras and sensors which often don’t have the same accuracy or depth perception as humans, so nighttime travel has been a challenge for robotic carmakers; but there have been promising safety developments. While LiDAR can assist computerized cars at night, it struggles to identify the environment in inclement weather conditions. When there’s rain or snow on the pavement, LiDAR struggles to identify important safety markers, signs and even the traffic lanes on the roadway. 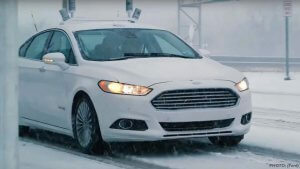 Once again, Ford successfully tested its automated prototype in the snow. To accomplish this, programmers created 3D maps that allow the car to identify topography or landmarks such as buildings and signs when lane markings aren’t visible. Black ice poses an even greater problem. Barnes said humans can rarely identify it; and it might be nearly impossible for cameras or sensors to recognize black ice on the roadway. One of the most important pieces of technology in any automated vehicle is GPS. But if you’ve ever tried using GPS in Times Square, you could have issues. Tall buildings and other sources of interference can make it difficult for a vehicle to receive a GPS signal and in a concrete jungle like New York people have reported drop-outs. There are other issues in cities too: there’s increased foot traffic, continual construction, potholes, litter, the list can go on. With the current technology, automated vehicles can struggle to distinguish the differences between a plastic bag and a puppy. Bridges seem fairly simple. Almost all of them are straight and predictable. Still, driverless cars are having a rough go. Uber recently told Bloomberg that its new driverless fleet in Pittsburgh (supervised by humans of course) is having a tough time going over bridges. That’s because the sensors don’t have the ‘hints’ that they’re used to having – things like buildings, signs and objects don’t appear on bridges so it’s harder for the computers to figure out where they are. Adding to the problem, many suspension bridges are designed to ‘sway’ during earthquakes or high winds. The Buffalo car accident lawyers at Cellino & Barnes said drivers rarely notice the sway but a computer may recognize that its GPS is slightly off. Human drivers have to know the fundamentals of operating a car: the meanings behind road signs, speed limits, and the consequences. Equally important however is the ability to communicate with other drivers. Driverless vehicles don’t have that ability yet. Earlier this year, Google reported its first accident where the crash was the car’s fault. Safety advocates said it likely could have been avoided with simple human communication. BUFFALO, N.Y. – Slipping on a wet floor or tripping on loose carpet sounds like a simple misstep but these falls can put a person in the hospital – at any age. 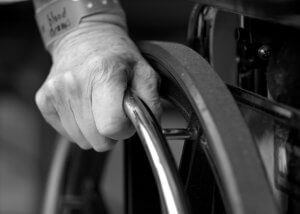 Falls are now the leading cause of death among seniors and one of the leading causes of hospitalization among those younger than 65, according to the U.S. Department of Health and Human Services. According to federal data, falls can be very deadly too. The number of fatal falls nearly doubled from 2000 to 2013 among those 65 and older. 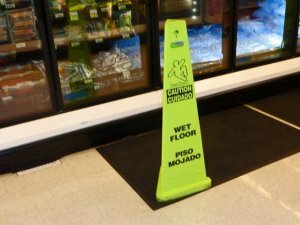 A Buffalo slip and fall lawyer at Cellino & Barnes says almost every fall is preventable and many accidents occur in public areas like shopping centers and parking lots. It’s estimated that one-third of those who fall will suffer an injury that will require treatments. Researchers found that most people who fall don’t address the incident at all, which can often detrimental to their overall health. According to several studies from the Centers for Disease Control and Prevention, a prior fall is the top predictor of another fall. Buffalo slip and fall lawyers said even if a person’s injuries seem mild, the damage could spark another accident. Doctors suggest getting a check-up immediately and some treatments can help minimize the risk of repeated fall. When a person does get hurt, the bills don’t stop coming in the mail. The Buffalo slip and fall lawyers at Cellino & Barnes have helped Western New Yorkers recover millions to help pay for medical bills, lost wages and other expenses. In many cases, a legal claim can also spark impactful changes that will help your friends and neighbors. These changes could include the installation of railings around steps, swift removal of obstacles like ice or standing water, or adding lighting in dark areas. There are many preventative measures that can be taken to reduce the risk of falls but many public areas Western New Yorkers frequent every day lack these vital safety improvements. Find more studies and the newest safety information by following Cellino & Barnes of Facebook. If you’ve been injured, call a Buffalo slip and fall attorney at Cellino & Barnes today. 800-888-8888. NEW YORK – Another amusement park accident injured six people at Ocean Beach Park in New London, Connecticut. It’s the latest in a wave of serious incidents stemming from amusement rides in just the last month. According to New London Police, the six people who were injured suffered an electrical shock on a ride known as the ‘Scrambler.’ The incident sparked temporary ride closures at Ocean Beach Park. At least one person suffered contact burns on their hands and all six were treated at Lawrence + Memorial Hospital in New London. The Scrambler is a popular attraction that can be found around the country. It’s also not the first time it’s been linked to injuries, a New York roller coaster injury attorney said. The recent electrocution of six riders comes just days after Caleb Schwab, 10, was killed on a Kansas water slide. According to the New York Daily News, the water slide hadn’t been inspected since it debuted in July 2014 despite the Kansas Amusement Ride Act which requires yearly inspections. Caleb Schwab suffered a fatal neck injury as he went down the 169-foot slide in Kansas City. New York roller coaster injury attorneys said not all accidents are deadly and many amusement park injuries can go unnoticed for days. Even ‘gentle’ carnival rides can be chaotic. 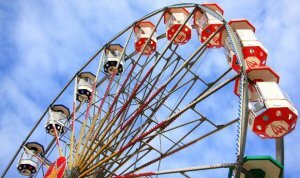 Just last week, three girls fell 45 feet out of a Georgia Ferris Wheel. Briley Reynolds, 6, was hospitalized after she fell out of a Ferris Wheel basket at the Greene County Fair. Briley’s 10-year-old sister, Kayla Reynolds, was also injured in the fall. Kayla Reynolds told ABC News that the sisters were trying to hold onto things as the basket tipped. Kayla Reynolds suffered a broken arm but her sister Briley Reynolds was hospitalized for days after suffering a traumatic brain injury. Safety inspectors blamed the incident on mechanical failure. The New York roller coaster injury lawyers at Cellino & Barnes have helped many families across America obtain compensation for their injuries. They have proven results and have won cases in all 50 states and Canada. For more information or to receive a free case evaluation, call 800-888-8888 or Contact an attorney today. NEW YORK – Authorities in Newark say a second person, a passenger, has died after two New Jersey Transit buses crashed in Newark Friday morning. In addition to the passenger, a bus driver was also killed in the wreck and nearly two dozen people were sent to local hospitals. Authorities with New Jersey Transit said Joseph Barthelus was the driver killed in the crash. Barthelus had been an NJ Transit driver for 27 years. The Essex County Prosecutor’s Office did not identify the passenger who was killed on Friday but confirmed that a female passenger on board one of the transit buses had died from her injuries, hours after the crash. According to transit officials, Barthelus was driving the No. 59 bus, heading west, when it t-boned the No. 13 bus at the corner of Raymond Boulevard and Broad Street in Newark. As of Friday afternoon, the crash caused 2 deaths and at least 18 injuries. Officials said at least one other person remains in critical condition at University Hospital. A New York bus accident attorney at Cellino & Barnes says many of the victims in this crash could receive compensation for their injuries and a crash investigation will determine exactly what happened. 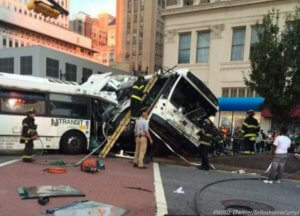 An NJ Transit spokesperson told reporters at nj.com that both drivers were in good standing. Barthelus had been driving for 27 years. The other driver, who survived the crash, was identified as James Roberts and NJ Transit said he had been driving for 35 years. Witnesses described the Newark bus crash as a “nightmare.” Several people rushed into the intersection to help passengers who were injured during the collision. According to several witnesses who were immediately on scene, one of the buses was empty and was likely going through the intersection at a high speed. Newark Mayor Ras Barkaka said at a press conference that preliminary data suggested that one of the bus drivers may have run a red light. While speed and inattention could likely be a factor, New York bus accident lawyers said there many other aspects to look at. The intersection of Raymond and Broad can be particularly dangerous because it’s a five-corner intersection, lawyers said. Not only does Raymond Boulevard cross six lanes of Broad Street, Park Place stems from the intersection as well. Officials estimated that seven passengers on the bus suffered catastrophic injuries and were taken to University Hospital in Newark, Beth Israel Medical Center, St. Michael’s Hospital, and Trinitas Regional Medical Center in Elizabeth. “Those who are in the hospital recuperating from the crash could have a difficult recovery ahead. Our firm has handled many bus accident cases and most of the victims and their families are looking for help.” Barnes stated. “First, medical help so that they get the best immediate treatment and then the best follow up care. “Then they want help answering why or how this accident happened. The state investigation and any private investigations of videos, driving records, bus inspection records, road design, road surface components, traffic light timing and positioning, intersection accident history and witness statements will be critical. Barnes also said that every victim wants to make sure that this type of New Jersey bus accident doesn’t happen again. 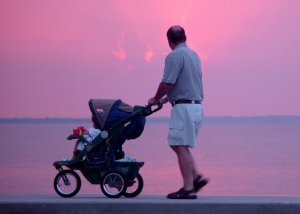 NEW YORK – When you’re a parent, you aren’t just making decision for yourself (what to wear, what to eat), you’re also trying to make the best decisions for your child. One of the decisions parents have to make is choosing the right car seat. In some cases, it can make the difference. For years, the American Academy of Pediatrics has recommended that children be placed in rear-facing car seats until they’re two years old. However, new studies suggest children should stay in car seats much longer, at least until they outgrow it. A Queens car accident lawyer at Cellino & Barnes says car crashes are the top cause of serious injury to children under the age of four and a properly installed car seat could help reduce your child’s risk. The most common injuries children suffer in crashes stem from spine and neck trauma. In many cases, this is the result of whiplash; when a child’s head is suddenly jolted forward due to the impact of a car crash. A rear-facing car seat minimizes that sudden movement, protecting a toddler’s undeveloped muscles and bones. Here’s how much of a difference it can make: according to a study published in 2007, toddlers under 2 years old are 75 percent less likely to be severely injured in a crash if they’re in a properly installed rear-facing car seat. Many other nations are taking notice of the statistics. Take Sweden for example; according to the International Traffic Safety Data and Analysis Group, 144 Swedes were killed in car accidents in 2013. Only two percent of those fatalities were young children. In the US, over 6 percent of the passengers killed in auto wrecks were children under the age of 9. Queens car accident lawyers at Cellino & Barnes say some of the blame falls into the hands of manufacturers who know about these statistics but continue marketing forward-facing car seats to new parents. Safety advocates say the battle however, starts at home: if parents didn’t only bought rear-facing seats, there wouldn’t be a market for forward-facing ones. Any new mom or dad can look at the numbers and come to the right decision: a rear-facing car seat is the way to go, as long as your child fits. 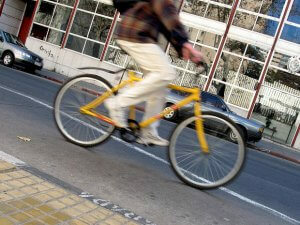 Of course, injuries are never 100 percent preventable in a car crash, depending on the severity of it. If your child has been injured in a collision, contact the Queens car accident attorneys at Cellino & Barnes for a free case evaluation. For more safety tips for parents, Like Cellino & Barnes on Facebook.